A negotiator, police as well metro police had to intervene to calm the fight between Faerie Glen residents and the men who are believed to be land invaders. The man believes that he is the rightful owner of the land, as it belonged to his forefathers. However, the delayed land claims process has complicated his plight. 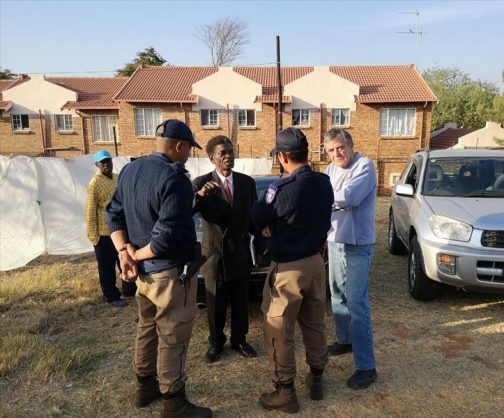 A Mamelodi man accused of illegally occupying municipal property in Faerie Glen is adamant that the land belongs to his family, he told Pretoria East Rekord. 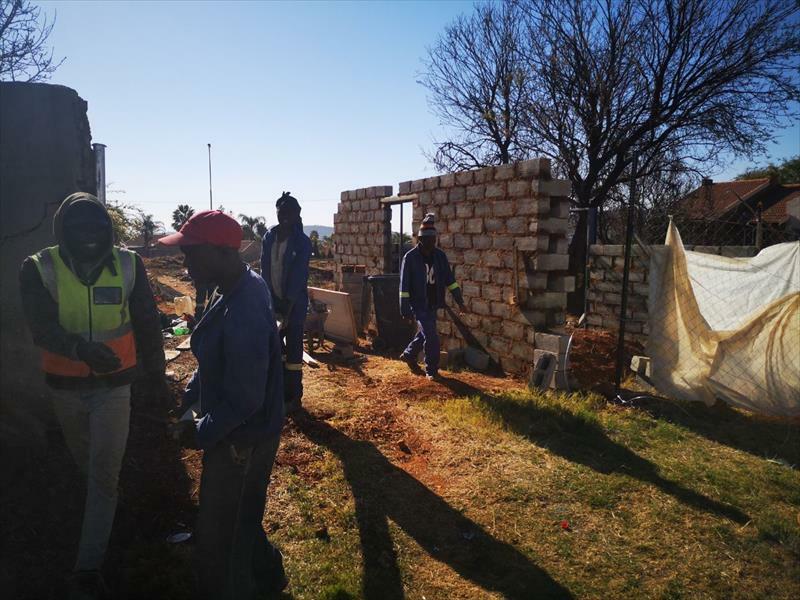 Mpho Dlamini is one of five men accused of illegally erecting a brick structure and connecting water to the premises without any permission from the Tshwane metro. The building that was being ‘illegally’ erected on municipal property. He said the land belonged to his forefathers, who were forcefully removed about 70 years ago at the time when the area was a farm known as Willows. “The land is mine,” he said. Scuffles broke out last Sunday between Faerie Glen residents, and Dlamini and his group when they tried to occupy the land. Residents said Dlamini and his group were land grabbers. Locals confronted the group, and asked that they provide proof that they were the rightful owners of the land, but none was produced. A negotiator and police intervened to calm the fight. Dlamini told Pretoria East Rekord they were not in possession of the land’s title deed yet, as the land claim process was delayed. “The claim was made as far back as 1996, and the land was gazetted and published in 2015. The men could be heard on a video recording on social media saying they would forcefully occupy the land. During the scuffles, residents claimed the men threatened to kill nearby homeowners and burn their houses down. Dlamini said tensions were high and threats may have been made, but he wasn’t sure if they were made by his group. “I could not keep track of what everyone was saying because there were many voices speaking at the same time,” he said. Tshwane metro said the land belonged to its department of roads and transport and had not been sold or leased to anyone. 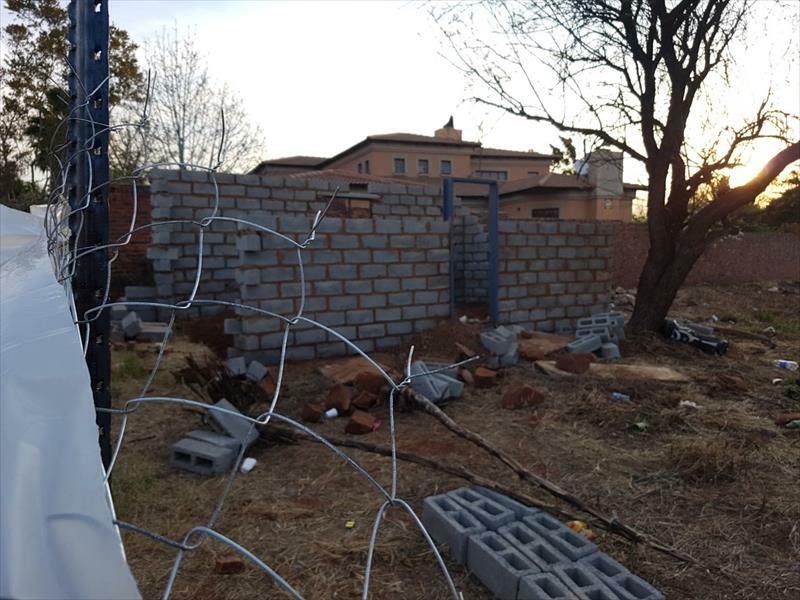 Ward councillor Ernst Botha said Dlamini’s structure was demolished on Thursday evening, but it was unclear by who. On Tuesday, the metro obtained an eviction order prohibiting the men from occupying the land, but Dlamini said they would challenge the order and fight to get what was rightfully theirs. He said the demolishing of their building was unlawful, and was likely to cause more tension. The Tshwane metro had not responded to Pretoria East Rekord’s inquiry regarding the land claim by the time of going to print.